Users requiring a highly powerful system for manufacturing seals up to 630mm will appreciate the Oz 6000X Wil. 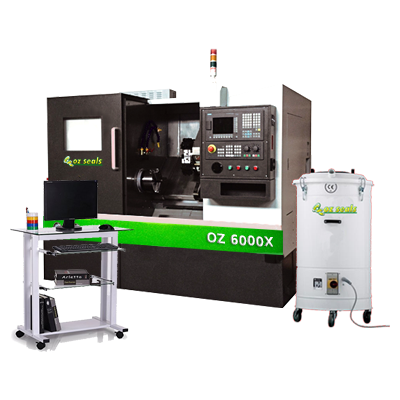 As one of the largest systems available from the Oz X Series, the Oz 6000X Wil offers greater stability with its rigid iron cast frame. 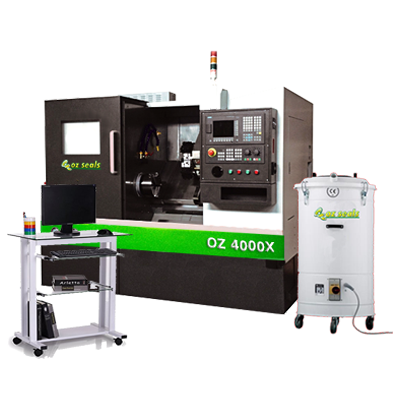 Suitable for intermediate to advanced users, it is capable of machining seals at speeds of up to 1500rpm. 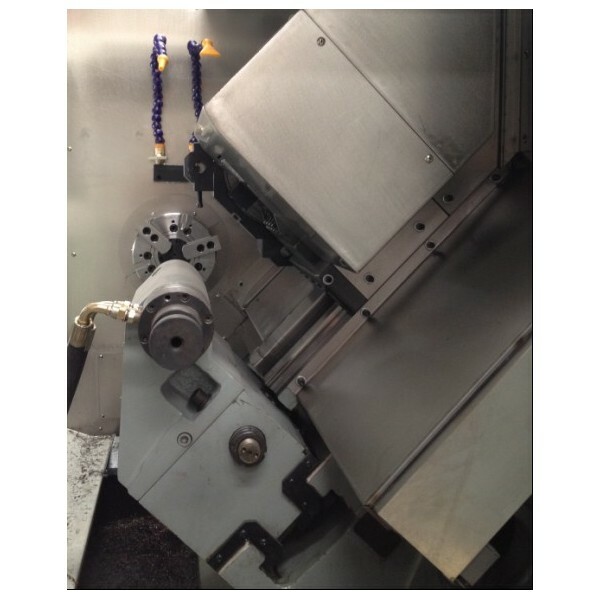 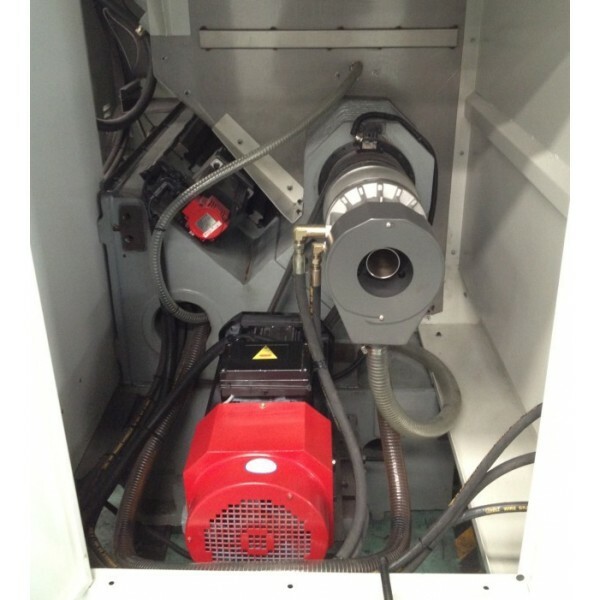 The system is equipped with a hydraulic chuck and hydraulic tailstock with the option to utilise VDI Power tool turret. 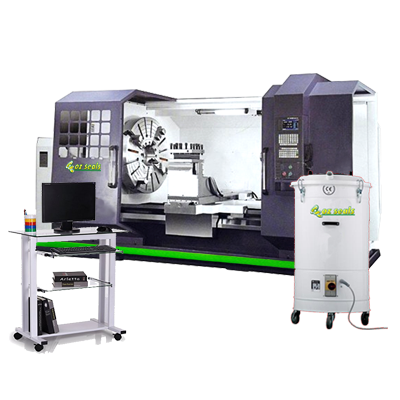 This complete seal manufacturing seal system includes a complete tool set, swarf extraction system and the seal manufacturing CAD/CAM software exclusively developed by Oz Seals. 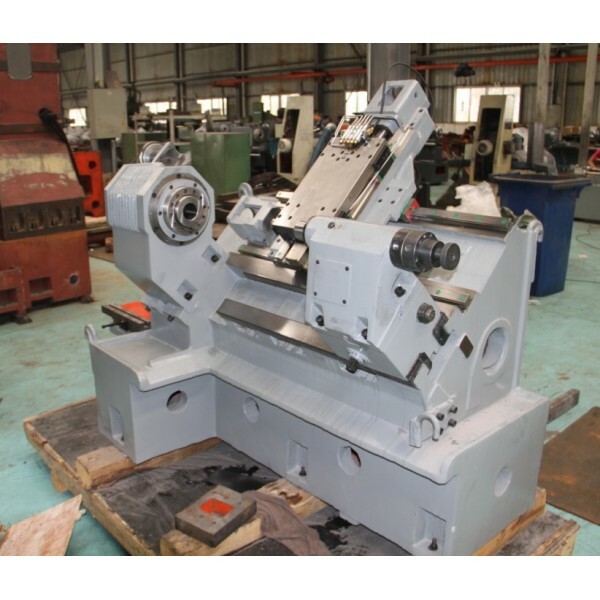 X/Z axes linear guideway, tailstock hard rectangle guideway. 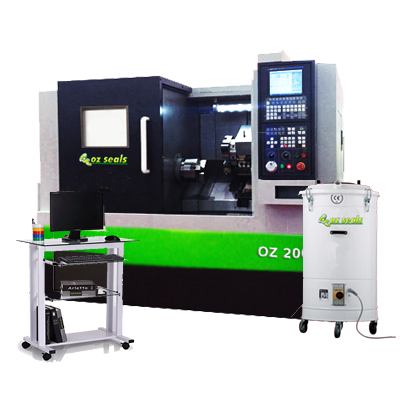 Spindle: ECO top brand Servo Motor&Driver.